The collections of sayings and aphorisms had an openly didactic aim. Addressing themselves directly to readers and listeners, the preachers and theologians extolled virtues and condemned vices, promising the righteous eternal bliss after death and threatening the remiss and the sinners with Divine retribution. The Christian virtues were also preached and extolled by works of another genre—the vitae, i.e., stories about the life, sufferings or pious acts of people canonised by the Church, that is, officially recognised as saints whom it was permissible to worship.14 This type of literature is also called hagiography (from the Greek hagios—sacred, and grapho—I write). In the vitae we frequently find plenty of action, since their authors readily made use of the plots and narrative devices of Greek tales of adventure. The hagiographers usually wrote about miracles performed by the saints (which was supposed to demonstrate their saintliness); these miracles, the intervention of celestial forces—angels or devils—were described with a wealth of vivid detail. The authors of the vitae strove to give even most fantastic episodes the illusion of authenticity. 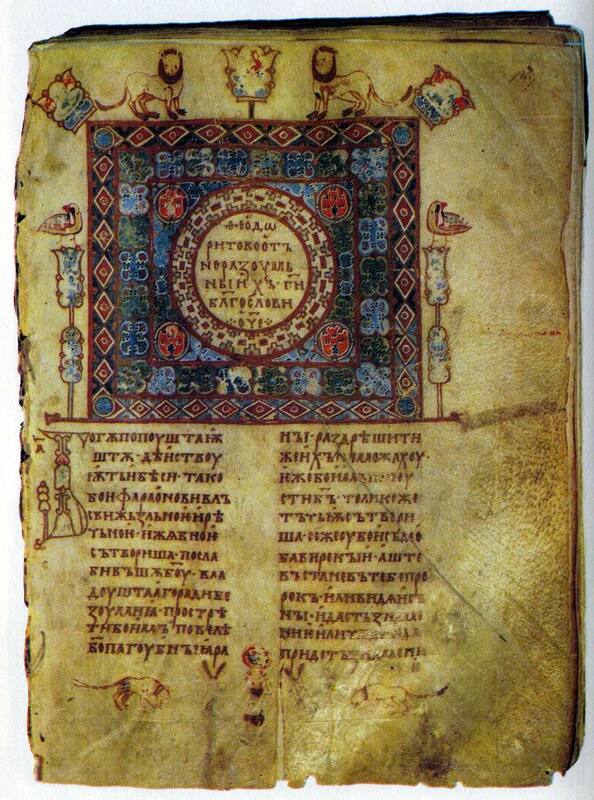 Many Byzantine Lives of saints were translated even in Kievan Russia. 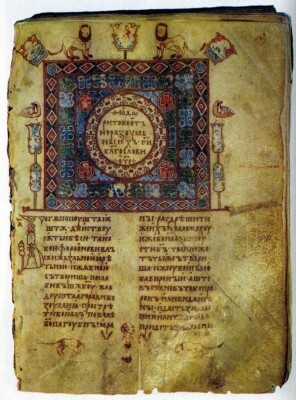 We have copies of or references by Russian scribes to The Life of Alexis, the Man of God, the Lives of Basil the New, Sabas the Blessed, Irene, Anthony the Great, Theodore and others. An example of the hagiographic romance (a term coined by the specialist on Byzantine hagiography Pavel Bezobrasov) 15 is The Life of St Eustace. Eustace is a stratilates (general), famed for his military prowess and just deeds. But he is a pagan. One day out hunting he meets a stag who speaks to him in a human voice and tells him to be baptised. Straightway Eustace hears another voice that tells him he will have to prove the sincerity of his faith by his deeds and endure all the sufferings that fall to his lot. And, indeed, shortly afterwards Eustace loses all his riches and, ashamed of his poverty, leaves his native town. He is separated from his wife, and his children are carried away by a wolf and a lion. Their father thinks they have perished. For fifteen years Eustace lives in a strange place and keeps watch over the crops, with no news of his family. Then Rome is threatened, and the Emperor sends for his once renowned general. The messengers find Eustace and take him to Rome, where he leads a victorious campaign. In the meantime Eustace’s sons quite by chance meet and recognise each other in the house of their mother, whom they do not recognise (and who does not recognise them). Then Eustace himself finds his wife and children. The vita does not end on this happy note, however: following the canon of the life of a martyr, the hagiographer tells how, after the death of the Emperor Trajan who loved Eustace, Trajan’s successor demands that Eustace make a sacrifice in the temple of Apollo. Eustace refuses and perishes together with his wife and children after terrible torments.